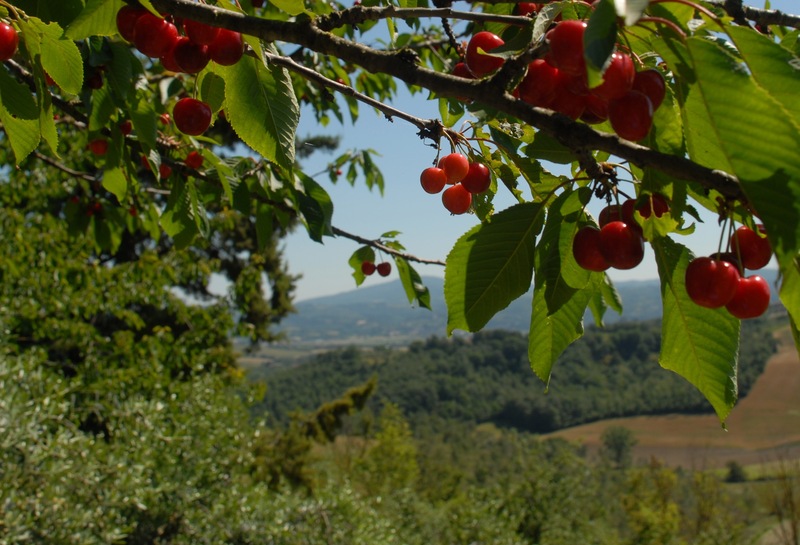 About 7 years ago my husband, Luigi, hung a tree swing for me in a cherry tree – right at the edge of our uliveto (olive grove). I love that swing! 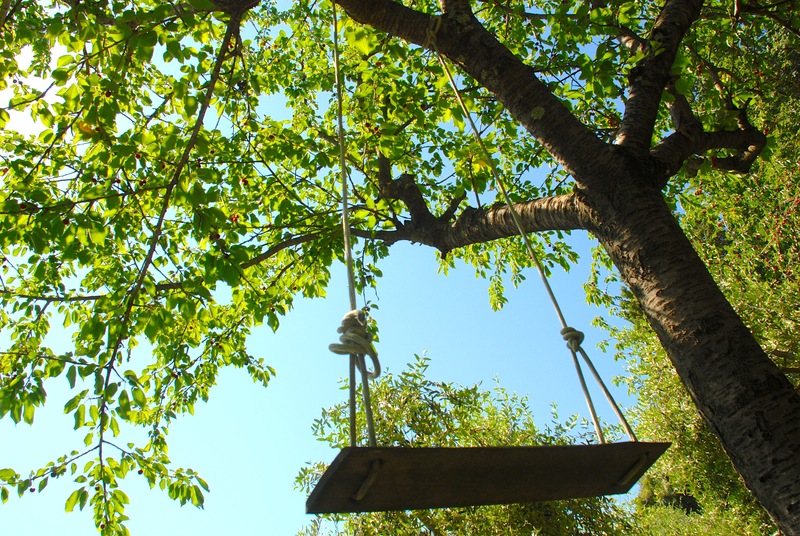 It’s one of my favorite spots – like a little retreat – where I can swing and swing and swing, and meditate on the green forests and open pastures that share the valley below our house in Umbria. This year my beloved cherry tree – and 2 others – are spilling over with (you guessed it) cherries! So we’ve started to harvest.